Women's World Cup referees are undergoing training with VARs over the next two weeks, The Associated Press has learned, paving the way for the FIFA council to approve the use of video reviews at the tournament in France. FIFA has faced criticism for not announcing yet that video assistant referees will be used at the June 7-July 7 Women's World Cup just as they were for the men's tournament for the first time in Russia last year. 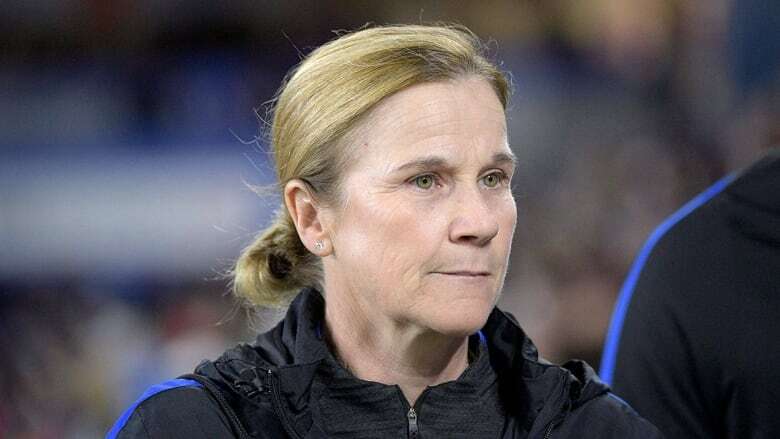 Jill Ellis, coach of the United States women's team, has said it would be "insulting" if female players didn't have an equal right to have decisions reviewed by video at their biggest tournament. "The final decision if VAR will be used at the Women's World Cup will be taken by the FIFA council," FIFA told The Associated Press on Monday. The governing body had previously only said a decision about VAR would come "in due time." But FIFA are ramping up practice with VAR as referees preside over matches with the assistance of technology at the Al Kass International Cup for men's under-17 teams, including Real Madrid and Paris Saint-Germain, from Monday through Feb. 15. "Part of their preparation is among other things also the use of VAR," FIFA said in a statement to the AP after being asked about the gathering of referees in Doha. "It's similar to the men's preparation." While the referees and their assistants are women, most of the VARs are men, with some having gained experienced at the World Cup in Russia. No domestic women's competition currently uses VAR. "To have the best preparation the referees will have VAR training and in addition to that they will officiate games of the Al Kass Cup," FIFA said. "So they have a competition, real matches and that is the best way to practice." When FIFA in December announced the appointment of referees for the Women's World Cup, there was no mention of VAR.